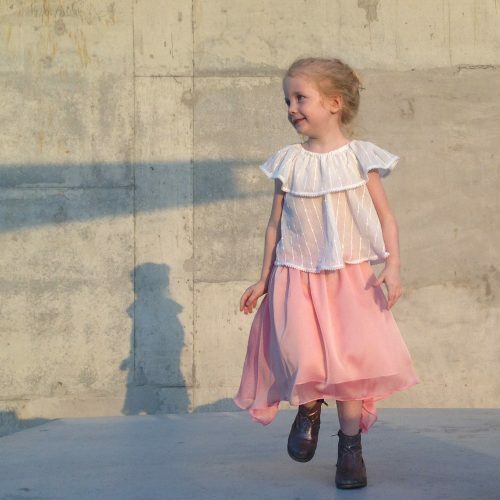 A gorgeous silhouette for girls. 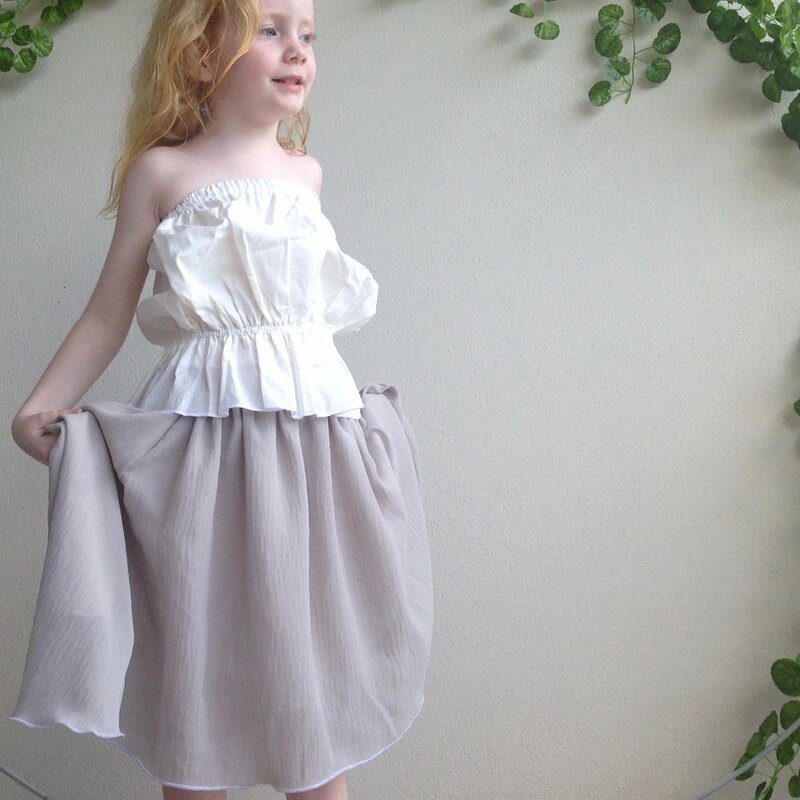 The waterfall hemline drapes the skirt’s fabric for flair and drama. 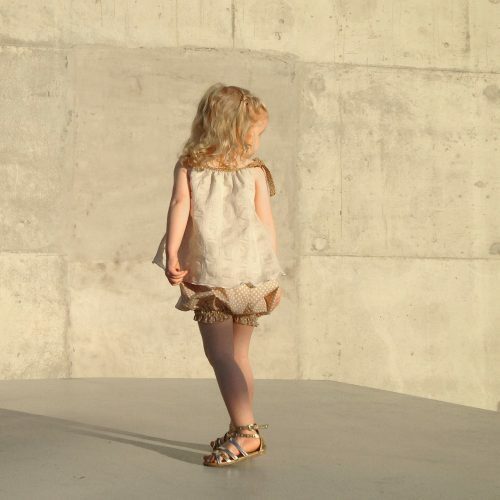 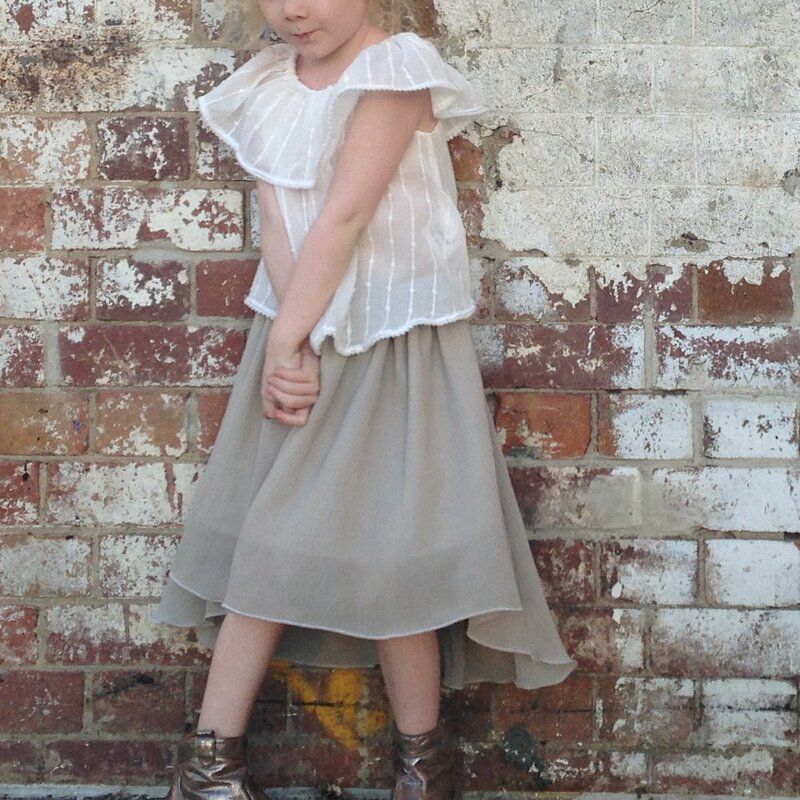 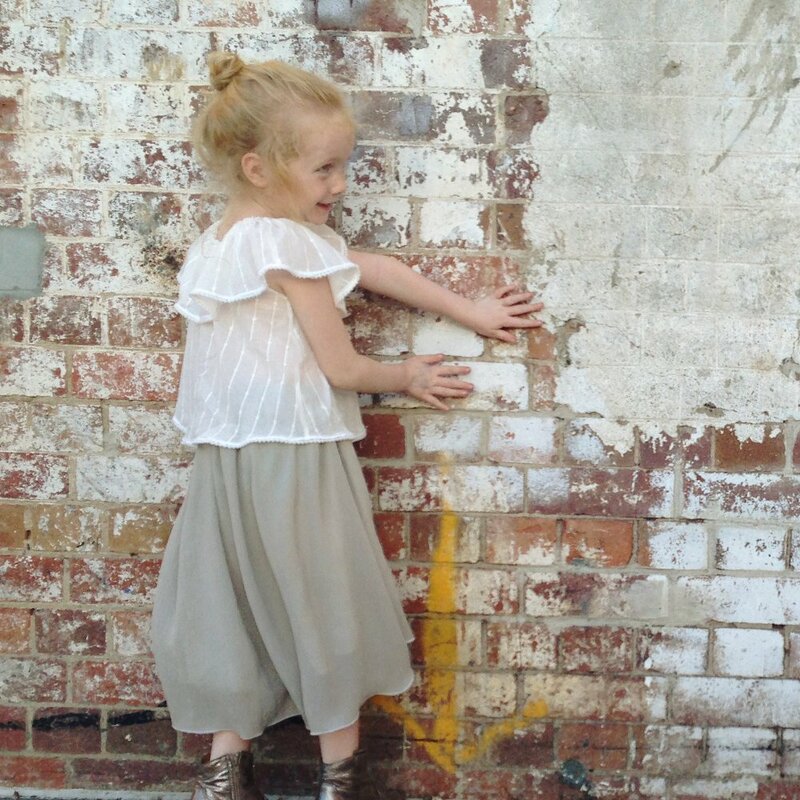 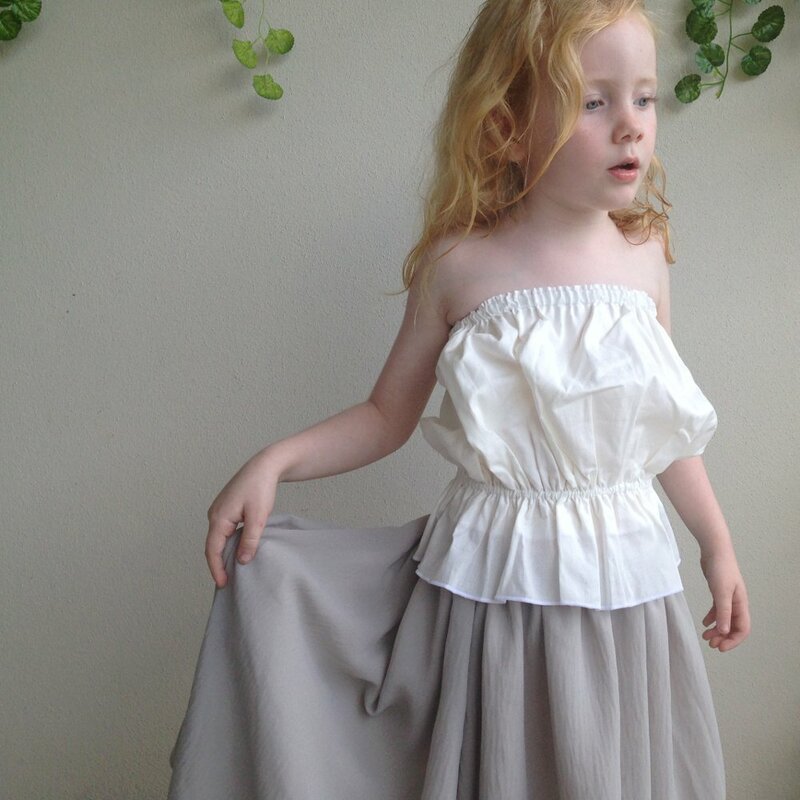 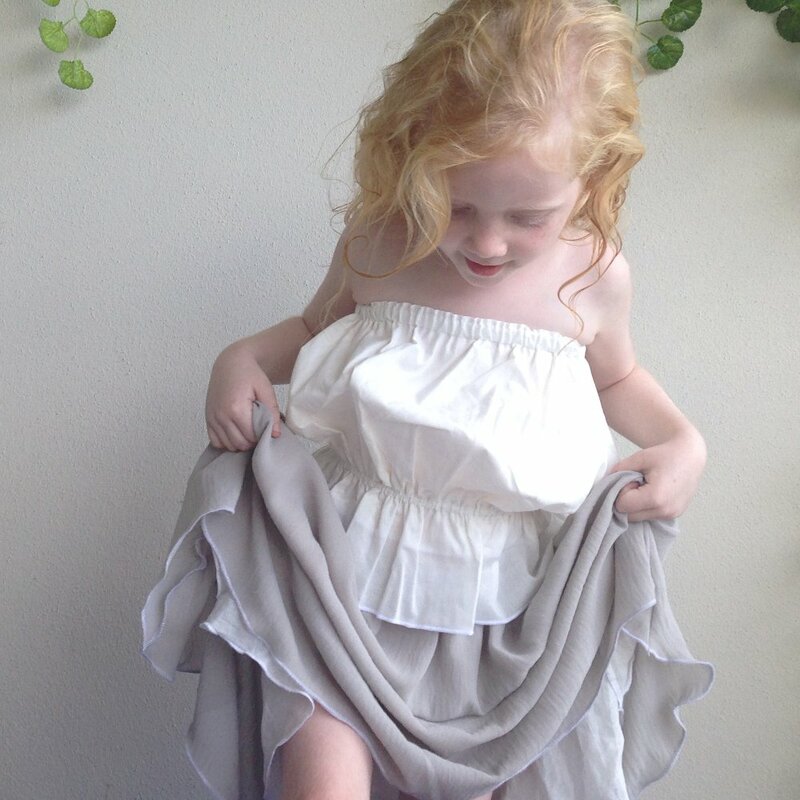 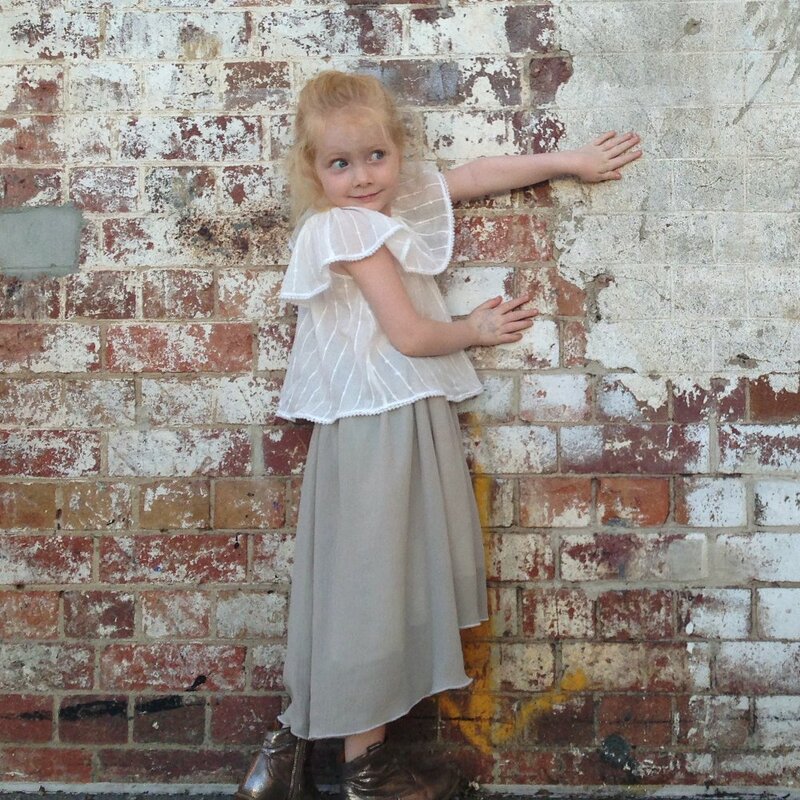 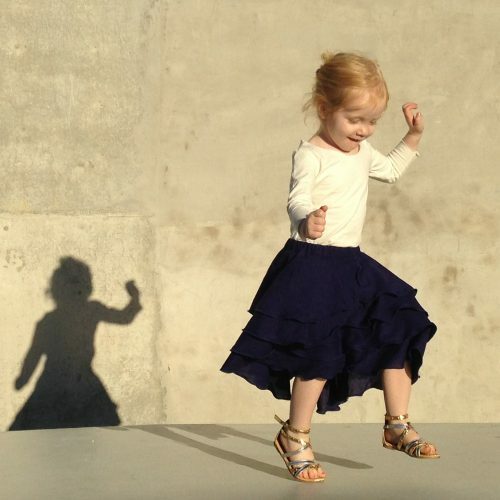 The raised scoop of the front hem lets our little ones frolic without tripping in their excitement..! 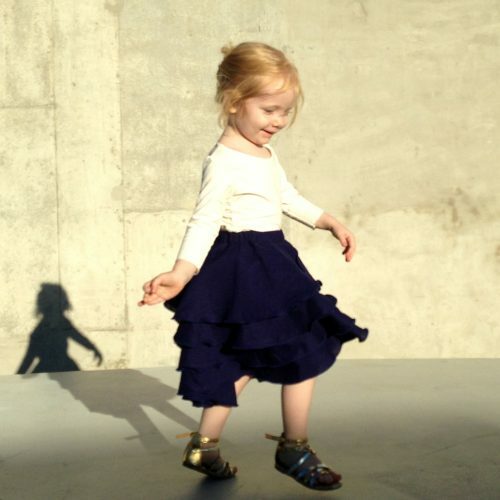 Olivia (4 years) wears a size 4. 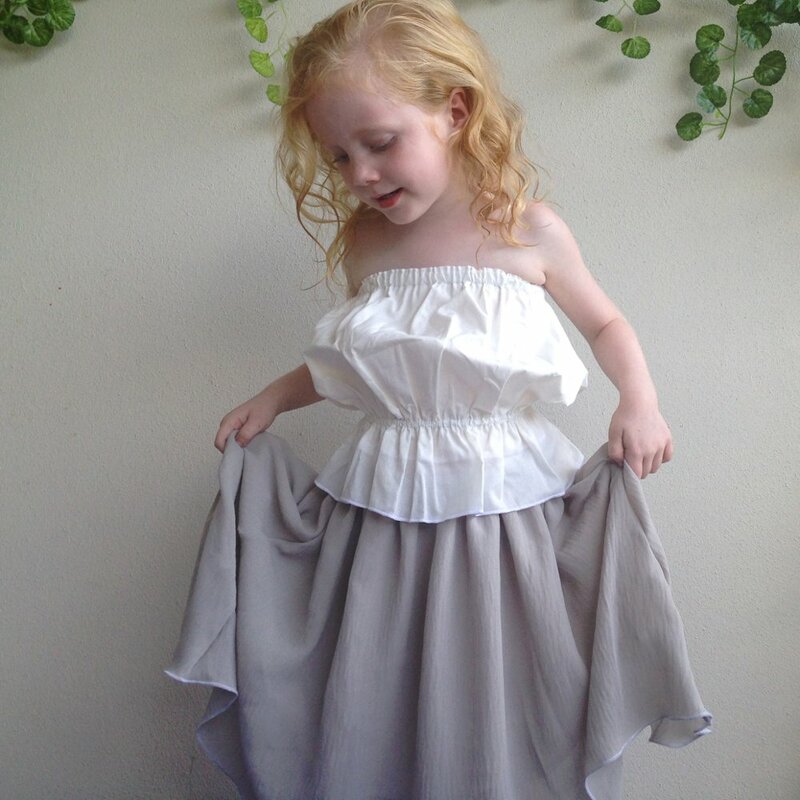 Chiffon fabric will look most gorgeous when pressed with a gentle warm iron.